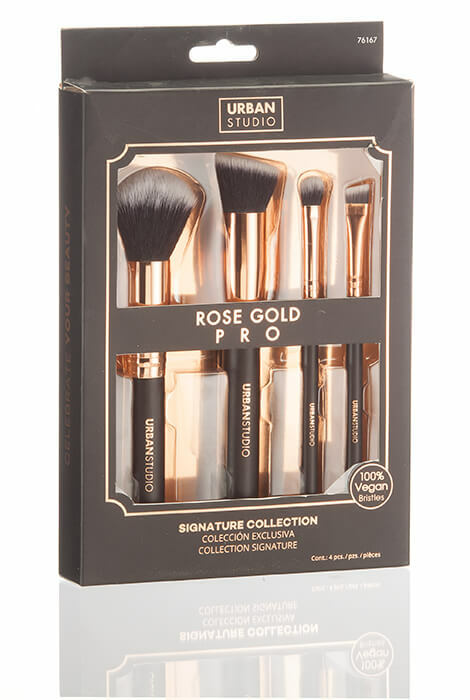 A carefully curated collection of the must-have Rose Gold makeup brushes from Urban Studio—the powder brush, pro-contour brush, eyeshadow brush and slanted brow brush. Everything you need, nothing you don't. 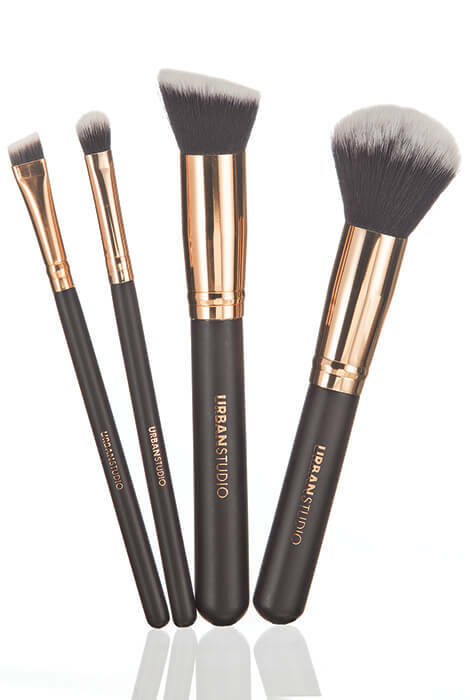 Easy to use and made from 100% vegan bristles. all items I have ordered from "As We Change" are of the highest quality.